Browse content similar to Atgofion. Check below for episodes and series from the same categories and more! -Ooh. Ooh, hello, how are you? -It's a horrible day today. -Is it raining with you? -is howling through the trees. -to be inside, nice and comfy. -Why don't you cwtch up with us? -I'm fed up of this weather. -For once, I don't know. -Ooh, um, let's have a cuppa. -We've had four cups of tea already. -What on earth can we do? -the pleasant times we've had. -times you've had in the garden. -what is your favourite memory? -couldn't think of anything to do? -in your own circus in the garden. -Do you remember? Do you remember? -of anything to do in the circus. -I can't perform any circus tricks. -You're like a circus clown. -the star of the show. -You were so good as the clown. -The circus was a lot of fun. -To be honest, it was Wali Wych. -Moc didn't think he had a talent? -Then he sang better than anyone. -in front of anyone in the audience. -The time is fast approaching. -What if I'm not good enough? -Let me hear your voice. -You have a very special voice. -is singing in the garden. -I'd sing in front of everyone. -I recorded your voice when you sang. -Is that really my voice? -who can sing like that. -because I know I sound good. -I'm going to be brave and confident. -I'll see you in the concert. -what can I wear to the concert? -Moc has a very special talent. -he has a huge talent. 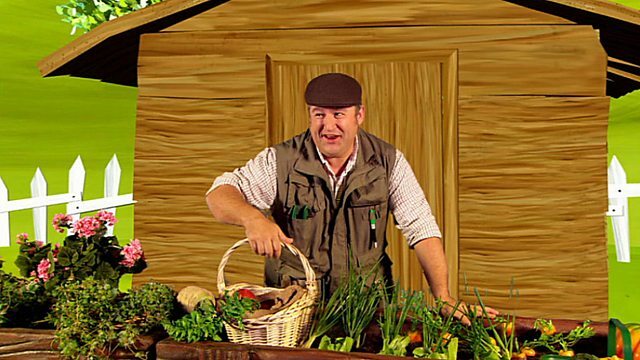 -He's great in the garden. -We're using the food from the bin. -4, 5, 6, 7, 8, 9, 10, 11. -one of your favourite memories. -It's so important to recycle. -Now then, where were we? -Memories. Blod, it's your turn next. -was the day of the big race. -I was competing against Wali. -We all remember who won. -Here they come. I can see someone. -Tell me, I can't see that far. -Blodeuwedd is in the lead. -She's got plenty of energy left. -I knew she could do it. -Over your head it goes. -I thought you'd win easily. -I said so, didn't I? -You just ate and ate. -remembering some very good times. -The time has flown by. -And Fflach has flown by! Mae'r criw yn penderfynu hel atgofion melys am eu hanturiaethau yn yr ardd. It's a rainy day outside so the friends decide to relive some of their happy memories and tales in the garden.